When it comes to fitness, there are two main archetypes: the success story and the cautionary tale. The success story is the gym rat who has found the winning equation—a perfect blend of exercise and nutrition that has produced a physique with heaps of new muscle and only traces of bodyfat. The cautionary tale, well … you don’t want to fall into that category. These are the people who just can’t seem to get things right, and it’s usually due to one or more nutritional snafus. They’ll lift thousands of pounds in their workouts but skip their postworkout shakes. They’ll aim to reduce their calorie intakes to shed bodyfat but forget to supplement right or monitor protein percentages. Cautionary-tale guys are the ones who almost get it right but keep missing the mark with food and supps. If that describes you, allow us to help you right your nutritional rudder. As hard as you may work in the weight room, you still need to cozy up to the fact that your work in the kitchen and at the dinner table is just as important. Those looking to get lean are often the biggest nutritional offenders. Because they’re so obsessed with shedding bodyfat, they often go too far in their efforts and stall their progress or, worse, start to backslide into the awful realm of being “skinny fat” (the result of lost muscle mass without a marked loss of fat). Remember, moderation is the key to steady gains. The following three mistakes are the result of pursuing extremes. You’re ready to get ripped at all costs. No sacrifice is too great. As a result, you decide to slash your caloric intake in half, expecting to transform your body in just a couple of weeks. Big mistake—not only is this completely unhealthy, but your body also isn’t likely to reciprocate with the same dramatics. The reality is that aggressive cuts in calories can backfire, causing metabolism, your calorie-burning engine, to downshift into a lower gear. The better approach is to create a mild deficit, eating 15%—20% fewer calories on a daily basis. If you currently eat 3,000 calories a day, for instance, reducing that to 2,400—2,550 calories will do the trick, creating a calorie shortfall without causing your metabolism to plunge. Still, even moderate cuts such as these can become frustrating over time. After a couple of weeks, your metabolism can adapt and burn fewer calories on its own, which negates continual fat loss. One way around that is to take a day each week to go back to square one and eat the amount of calories you ate before starting your diet—in this case, 3,000. The temporary increase actually interrupts the adaptation response, allowing the metabolism to continually burn at a higher rate. Remember what we said about moderation? Zero anything is dangerous in the nutrition world: Zero-carb, zero-fat and zero-cholesterol diets are all fads that should be avoided, particularly by aspiring bodybuilders. Controlling calories by slashing bad dietary fats such as butter, gristly meats, chicken skin and fried foods is one option. Taking a good thing too far, however, many eliminate nearly all dietary fat and try to chisel their bodies with fatfree sources of protein such as white fish, egg whites and protein powder. 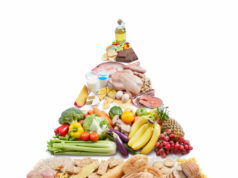 Since there’s barely any fat in most carbohydrate foods and vegetables, where you’d pick up the remainder of your calories, these types of diets are essentially “fat-free.” The big pitfall is that zero-fat diets compromise testosterone levels, which can disrupt the body’s ability to retain metabolic-boosting muscle while dieting. In short, when testosterone levels fall, the metabolism slides right along with it. The better route is to include egg yolks (at a ratio of one whole egg for every 3—4 egg whites) in your diet and eat lean beef on a daily basis. Both provide cholesterol, common to saturated fat, which supports testosterone production. 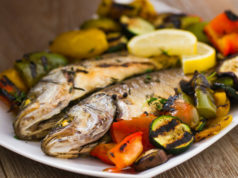 You should include higher-fat fish such as salmon, tuna or trout a couple of times a week as well. They contain special fats called omega-3 fatty acids, which not only help fight muscle inflammation but are thought to be components that actually help the body make more efficient use of fat. While lower-carb diets certainly aid in the shedding of bodyfat, you don’t want to cut out carbs completely. It’s better to watch the selection and manipulation of your carbohydrate consumption. One of the best ways to do this is to slash carbs at all meals—outside of breakfast and your postworkout meal, that is. Those are the two times of day when carbs are critical to muscle growth. At breakfast you need carbs to reverse the catabolic state you fall into from fasting while you sleep, and after training you need carbs to spike insulin levels to drive muscle growth and restock muscle glycogen (the storage form of carbs) that was depleted during the workout. Breakfast could be 2—3 whole eggs with 6—10 egg whites and a bowl of oatmeal, while your postworkout meal should include protein and a fast-digesting carbohydrate, such as a potato, white bread or even sorbet. Meanwhile, low-carb meals the rest of the day could consist of something as simple as a whey protein shake, or you can eat 7—10 ounces of lean protein such as chicken, turkey, fish or extralean beef along with some vegetables. This way, you’ll burn fat without sacrificing your ability to train hard, which is important if you expect to stay lean in the long run. The cautionary-tale types do several things to hinder their chances of gaining more muscle; these are three of the most common. It doesn’t take a master’s degree in exercise science or physiology to know that if you expect to grow, you’ll need more calories. But if you make that your highest priority, you may end up looking more like Jack Black than Johnnie Jackson. It’s not just about how many calories you eat—there are other important factors to consider in the growth formula, including meal frequency, protein intake and anticatabolic supplements. While a high-calorie diet certainly supports growth, nothing is as effective as splitting your calories into six smaller meals so you’re eating every 2 1/2—3 hours. This maximizes nutrient absorption and can suppress hormones such as cortisol that interfere with muscle growth. The next important step is to eat adequate protein. How do we define adequate? Say it with us: at least 1 gram per pound of bodyweight per day. Protein mends damaged muscle fibers when calories are inadequate. When calories are high enough, protein goes toward growth and extra repair work. Just don’t go overboard with calories—a safe bet is to strive for 18…22 calories per pound of bodyweight per day, with 30%…45% of those calories coming from protein. Since your goal is to hold on to more muscle than you burn, you’ll want to consider some anticatabolic helpers such as leucine, vitamin C and vitamin E. Five grams of the amino acid leucine taken before and after training can shut off muscle breakdown; 500—1,000 mg of vitamin C and 400—800 mg of vitamin E act as a safety net, reducing free radical production that can cause muscular inflammation and slowed growth. Muscle growth is a pretty simple equation. You lift weights to break down muscle fibers, and you rest and eat afterward to repair and grow. As such, the postworkout meal is a vital part of gaining appreciable size. But recovery doesn’t start the minute you leave the gym, especially when you’re training 4—5 days a week. When you work out hard and often, your body is in a constant state of repair, meaning you can’t ignore the importance of the preworkout meal. What you eat before training plays a monumental role in growth. A large meal eaten 1 1/2—2 hours preworkout causes a slew of hormonal changes that protect the muscles during the forthcoming training session. Start with maybe a small chicken breast and medium sweet potato, and build the portion size from there as your body adapts. That’s step one of your preworkout meal. Step two is to take 20 grams of whey protein and 40 grams of slow-burning carbs, such as oatmeal, fruit or whole grains, right beforehand. We touched on this in No. 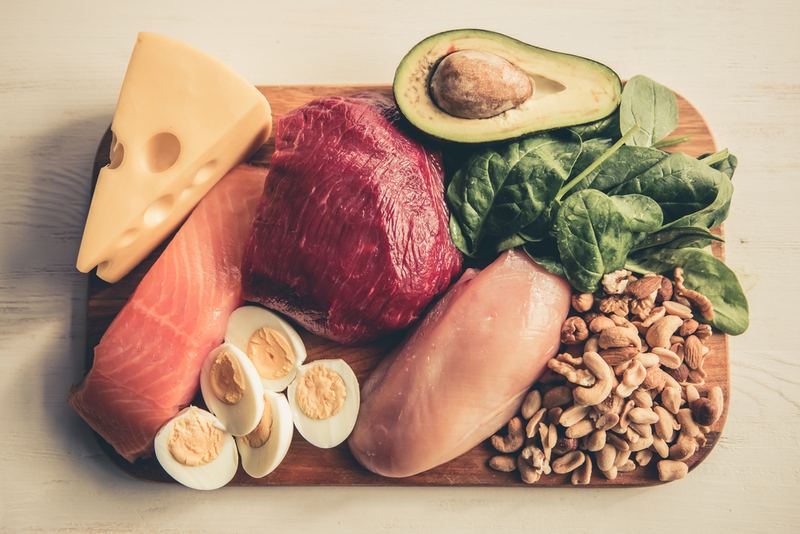 1, but how much protein do you really need? One gram per pound of bodyweight is a nice start, yes, but it’s a ballpark estimate that can fluctuate slightly from person to person and week to week. So while a structured plan is great for progress, don’t lock yourself into a particular amount of this macronutrient every day. Listen to your body and you’ll be better off. Let us explain. After a harder-than-normal workout or one that included unfamiliar movements, you may find yourself particularly sore. While the exercise variables are certainly a factor, nutritionally this is a sign that you need to push your protein intake higher to match your level of soreness. In a desire to bring up a lagging bodypart, for example, you might hit it with far more sets than usual. The higher the volume, the higher your protein needs for repair. In this case, 1 1/2 grams per pound of bodyweight per day is a good estimate, including at least 60 grams after workouts. What’s left? Deciding whether you want to be the cautionary tale or the success story. Of course, we recommend the latter. We know that diet can often prove to be the hardest thing to get right as you strive to build a better physique, but with diligence, consistency and a willingness to zig or zag when circumstances call for it, you’ll be well on your way to throwing your “cautionary” side to the wind. We Asked 20 Women: What are the worst style mistakes that guys constantly make? Expedition Cruising Is A Thing!